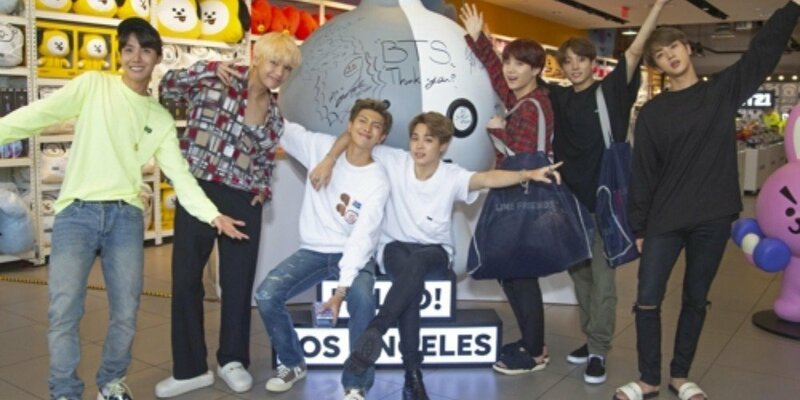 BTS stopped by 'Line Friends' pop-up store in Los Angeles! The BTS members took time to look over the various new items and take photos with BT21 characters. They also engaged in a hand printing event. The members' handprints will be displayed at the LA pop-up store.